Is your current software really working for you? Many companies that have been in business for a long time have found themselves stranded with obsolete software like Delphi or Visual Basic and nowhere to turn for support. This is not only an incredibly frustrating situation for any data-driven company, it also puts all data collected over the years at risk should the software stop performing at all! The trend today is to make the investment in a custom software package designed to fit your specific applications and requirements like a glove, and still leave room for changes or updates that may be required as your business grows. A mass produced software program will always pose the threat of becoming obsolete considering the high speed at which technology advances, and because these software programs are mass produced, they focus mainly on products instead of on the actual processes of individual businesses. There is absolutely no flexibility when it comes to off-the-shelf software, which means that a lot of time can be wasted in trying to rearrange the way companies do business, in an effort to process all that is related to their specific business sector. Choosing to go with mass produced software means that you will need employees with a pretty high level of I.T. experience in order to find a way to make it work for you, but with custom designed software designed to suit your needs, learning to use it effectively and efficiently is not going to require an I.T. genius! A very important factor to take into account when deciding to embark on the investment in custom software is to make sure that the developer will be on standby for technical support well into the future, and the only way to make certain of this is to check into how long they have been in the industry, as well as what their clients have to say about their service. Netgen certainly ticks these boxes; they’ve been around for going on eighteen years already, and they’ll still be around for a lot longer than that into the future, which means you can always count on their support, and a software program that will never become obsolete! The proof of the success achieved over the years by this talented I.T. team in converting obsolete systems to web based platforms, as well as converting any current database into new SQL versions, is obvious in the recommendations of clients who have developed successful long term relationships with Netgen. The whole point at Netgen is to offer clients software solutions tailored to their specifications in order to streamline processes to such an extent that every client has cost effective, efficient results that are ultimately designed to save them time and money. 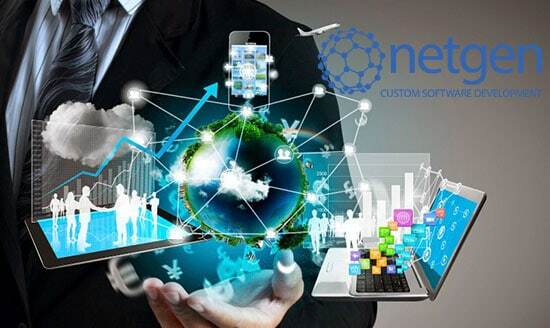 Because of the many years Netgen has spent in the web environment and the experience gained in designing custom software for many clients in a diverse range of industries, this team is able to offer affordable custom software solutions that are always delivered according to your budget, without wasting any time. Netgen is home to cutting edge custom software and web design, along with a host of I.T. solutions that will cover all your needs, from website design to mobile app development and online marketing solutions, making them the most versatile company you could possibly deal with for all your I.T. requirements. With interconnected offices in Cape Town and Johannesburg, no matter where you are in South Africa, Netgen will be on hand to offer a comprehensive range of I.T. solutions and technical support with a consistency that is rare in the web environment! Next PostLooking for web design, custom software, marketing solutions or mobile apps in South Africa?